On Wednesday, the New Hampshire House of Representatives were slated to consider a batch of assisting suicide bills. New Hampshire, along with other New England states, has become a high priority target of the death advocates after Vermont legalized doctor-prescribed suicide last year. Connecticut also has an active bill. Additionally, Massachusetts, which narrowly defeated a dangerous ballot measure in 2012, has also seen legislative attempts to legalize the practice of doctor prescribed death despite voter rejection. The assisted suicide bills to be introduced include HB1325, HB1292, and HB1216. HB1325 is nearly identical to the Oregon law which has been effect for over 15 years. Like Oregon’s law, the New Hampshire bill attempts to allow competent terminally ill patients to request their doctor prescribe them a lethal dose of medication. What this really means is that people who could live indefinitely if provided life-preserving treatment, but who would die without it, could be deemed to fit the definition of “terminally ill.” For example, insulin-reliant diabetics who stop taking their medication could qualify for a lethal prescription. Nor is there any requirement that a terminally ill individual’s death be imminent, or even near. Pro-death doctors could well argue that the decision shields them from being held accountable if they kill any patient with an illness that has a statistical chance of shortening life. Votes are upcoming on two other bills–HB1292 and HB1216–as well. These bills would eliminate the strong protections against assisting suicide that New Hampshire has in place. Although a small state, New Hampshire has one of the largest legislatures in the world. Typically, committees recommend that the bill be passed, killed, or held until a later date. Thanks to effective testimony, including that from some disability rights groups, the respective committees voted to kill all three bills. While the full legislature tends to defer to committee judgment, its members do not have to–and could overrule them on the floor tomorrow. It is urgent that members of the New Hampshire House of Representatives hear from pro-lifers on this important issue. Most legislators have never considered legislation like this, and they need to know that New Hampshire does not want to destroy existing protection for those facing a difficult diagnosis. While doctor-prescribed death is legal in only a tiny fraction of the world, five U.S. states currently allow the dangerous practice. Oregon and Washington have laws created using ballot initiatives. Vermont Governor and long-time assisted suicide advocate Pete Shumlin, after a decades-long battle, piloted a controversial measure into law in Vermont. The first such bill in the nation passed in the legislature (as opposed to by referendum) grants doctors immunity from prosecution for providing a lethal dose of medication for the first three years if they follow a loose list of rules, including making sure the patient is terminally ill and making a voluntary, informed decision. Implausible as it may seem, in 2016, that list of rules expires. Death advocates maintain that by then doctors will have established their own personal guidelines. Two other states are fighting their battles in the courts. In the first state, Montana, the Supreme Court, while not finding a state constitutional right to the practice, did allow doctors the possibility of raising the defense of consent in a trail. In the second state, New Mexico, another strategy was on display. While the U.S. Supreme Court has already ruled that there is no federal constitutional right to assisted suicide, there has been an aggressive campaign underway by Compassion and Choices (formerly the Hemlock Society) to have state courts “redefine” assisting suicide as somehow being medical treatment. In her opinion, New Mexico state court Judge Nan. G. Nash did just that. She asserted that prescribing lethal drugs to a patient, or as she called it, “aid in dying,” is merely another type of medical treatment. An appeal is expected. 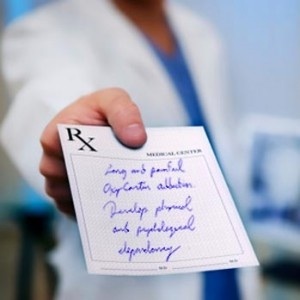 Doctor-prescribed suicide advocates need to be stopped before any more states allow the dangerous practice of assisting suicide to threaten the elderly, disabled, and others who are vulnerable. Previous ArticleReform of the Reform 2.0?